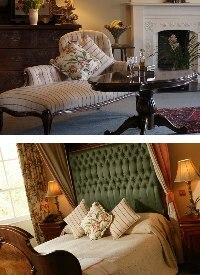 The Boath House is an eight bedroom luxury Scottish hotel situated near the cities of Inverness and Elgin, on Scotland's north east coast. 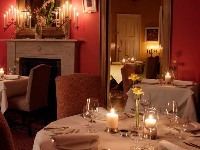 Fine dining is a particular feature, as the hotel boasts a much coveted Michelin star and 4 AA rosettes. Once described as the most beautiful Regency House in Scotland, it was on Historic Scotland’s ‘endangered list’, in the early 90s, when Don and Wendy Matheson found it, fell in love with it, and set about restoring this Grade A listed Georgian Mansion to its original splendour. After meticulous refurbishment, Don, Wendy and their children delight in sharing their beautiful home with guests from far and wide, turning the Boath House into a luxury country house hotel. The Boath House is the perfect Scottish wedding venue too and offers short breaks and themed packages all year round. 2007 marked the 10th year anniversary of Boath House as a luxury hotel in Scotland and continues to go from strength to strength. The fine dining restaurant at Boath House is now recognised as one of the finest in Britain and seats 26 – always in candle light. Head Chef, Charlie Lockley has taken the restaurant to 4 AA rosette status and a coveted Michelin Star. The hotel has won numerous awards. But the focus is, and always has been, on the three essential ingredients of hospitality in the Highlands- “a warm welcome, a comfortable room, and a fine dinner”.